Have you ever wondered, what is the poison of our world? According to the Los Angeles-based artist Cleon Peterson, it’s vengeance, “a social impulse that is destructive and easy to become complicit in”. His latest body of work that revolves around violence and revenge will be on display at Library Street Collective in Detroit. 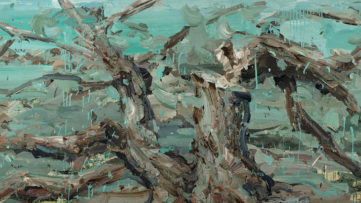 The upcoming POISON exhibition will present a series of acrylic on canvas paintings and porcelain sculptures that depict scenes of brutality and destruction. 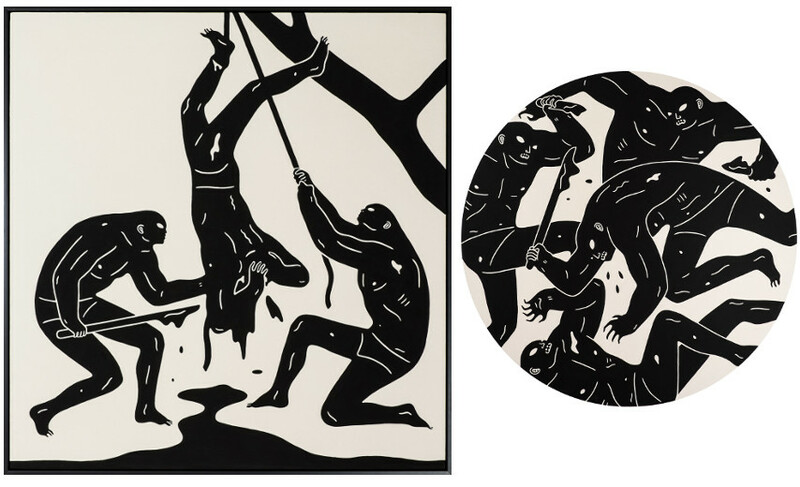 In Cleon Peterson’s mayhem-filled narratives, vengeance is portrayed as poison that runs through the veins of individuals and cultures around the world. 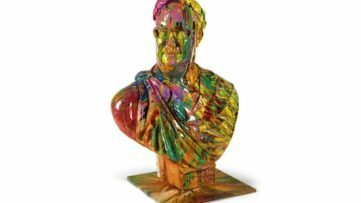 The artist considers this poison to be motivation for ever-present wars and bloodshed. The artist pushes the boundaries with his black and white imagery that places naturally white canvas surfaces in juxtaposition with the deep black paint. His POISON artworks depict cold-blooded massacres, performed by the artist’s recognizable subjects also known as “the shadows”. The characters absorb primitive forms while performing vicious ritual-like acts of violence. Painted in black and gold, these “shadows” hardly show signs of hatred in their facial features. 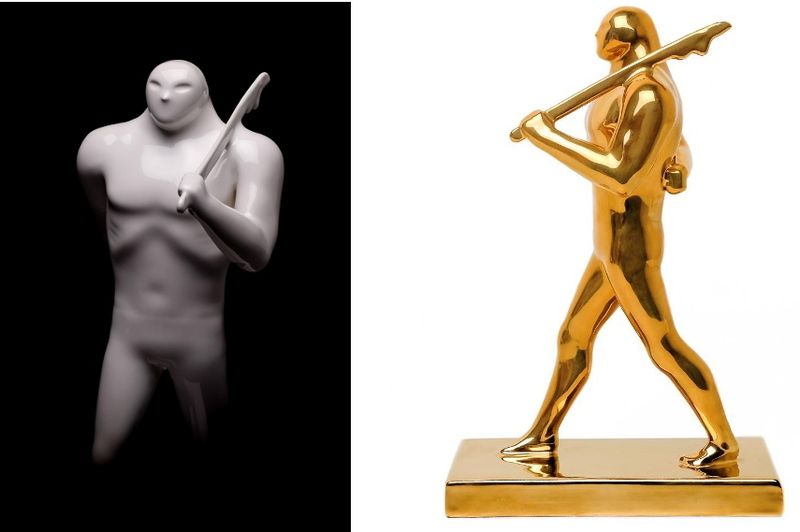 They appear calculated and their postures are balanced, athletic and mechanical. Their victims on the other hand, appear defenseless and in shock while being overpowered by their killers. Cleon Peterson’s artworks are a reflection of the world we live in and often deal with topics such as race, power and religion. 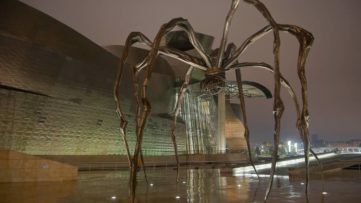 The American artist had his own encounters with various poisons throughout his life. Dealing with addiction and sobriety, he spent time in and out of hospitals and rehab centers. 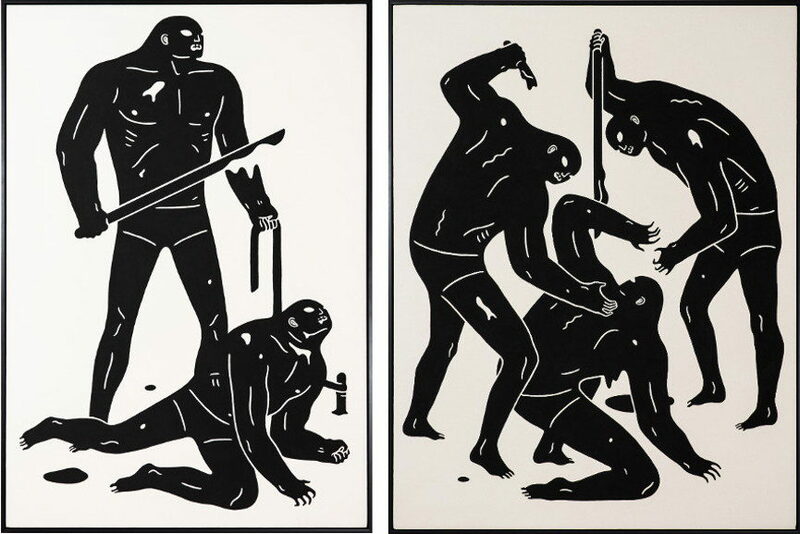 Cleon Peterson often portrays things that make him angry, such as intense cruelty and acute suffering, while simultaneously searching for positive changes in our society. The artist’s black and white imagery powerfully depicts the dark side of art and human psyche. His works have a tendency of evoking strong feelings within viewers, as the artist uses limited color palette to depict raw force and malice. POISON, solo exhibition by Cleon Peterson will open on August 29th at Library Street Collective. His latest artworks appear to be flat and clean, but still manage to evoke depth and chaos that might be disturbing for some viewers unaccustomed to his violent imagery. Cleon Peterson’s sculptures, that represent a life-like extensions of his two-dimensional works will be included in the exhibiton. The artist makes his drawings come to life by creating artworks that reside in the same three-dimensional space we live in. 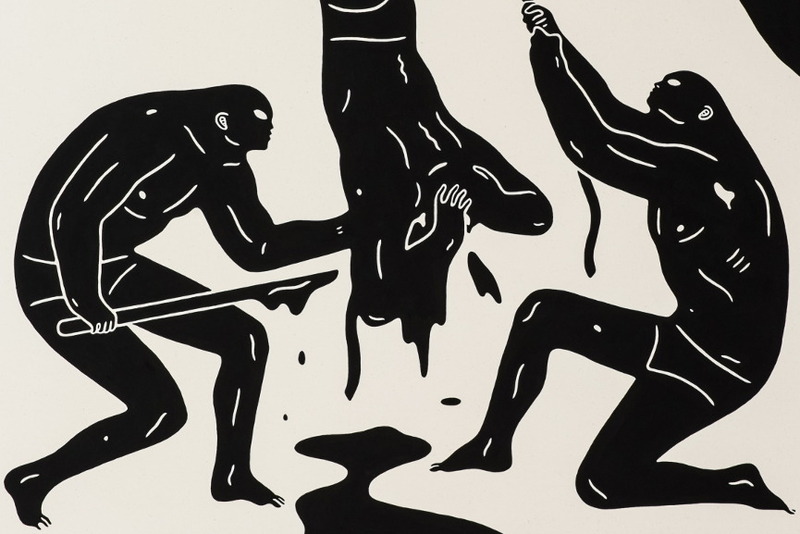 Cleon Peterson’s POISON will run through October 15th, 2015 at Library Street Collective gallery in Detroit. There’s nothing poisonous about My Widewalls, so sign up for FREE!